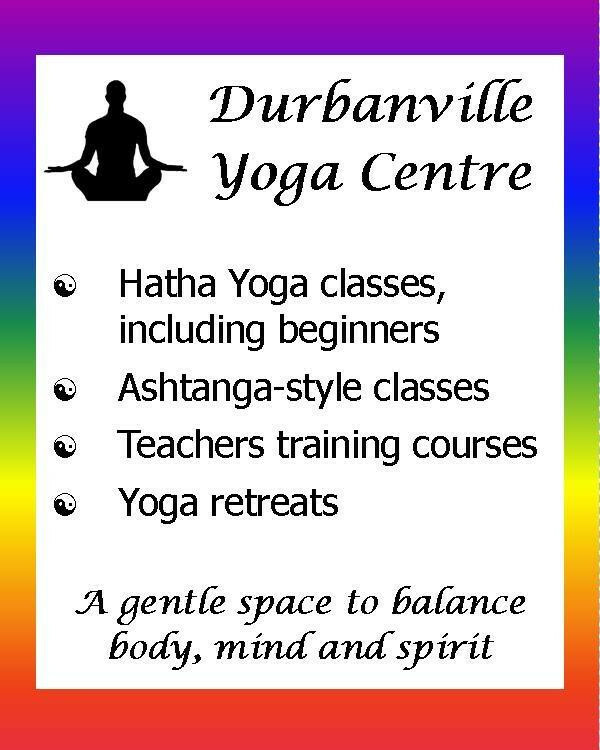 At the Durbanville Yoga Centre we teach Hatha Yoga, which is a type of yoga based on energy. The end result is to create body and mind so steady and harmonious, that they are resistant to time and disease. Teachers' Training Courses, Workshops and Retreats. In addition we offer a Beginner's Course. Please note that no classes are held on public holidays. Copyright Â©2011 Durbanville Yoga Centre. All rights reserved.